The welder part, worth �12k, was taken from a Scottish Water storage unit on Mill Road. 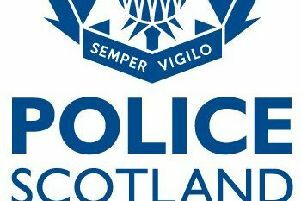 Police have issued an appeal for witnesses following two high-value thefts in Earlston last week. Between 9.30pm on Wednesday, June 20 and 7.10am on Thursday, June 21, the Scottish Water works site in Mill Road was entered and a storage unit broken into. A piece of welding equipment worth more than £12,000 was stolen from the unit. Sometime between 5pm on Wednesday and 7.10am on Thursday another theft took place at a diesel storage tank site at the A68, between Earlston and Ravenswood. During this time, diesel was stolen from the fuel bowser and three plant vehicles parked in the area. In total, 800 litres of fuel was taken, worth almost £500. A fuel pump worth £220 was also stolen during this incident. Inspector Tony Hodges, deputy local area commander for the Borders said: “We are currently working to establish if these high-value thefts are linked and anyone with information is asked to come forward. “As a result of the items stolen, work at the Scottish Water site and the new cycle path construction site will undoubtedly be impacted and we are actively looking to idenify the culprits. Those with information can contact Police Scotland via 101 and quote incident 551 or 630 of June 21. Alternatively an anonymous report can be made to the charity Crimestoppers on 0800 555 111.